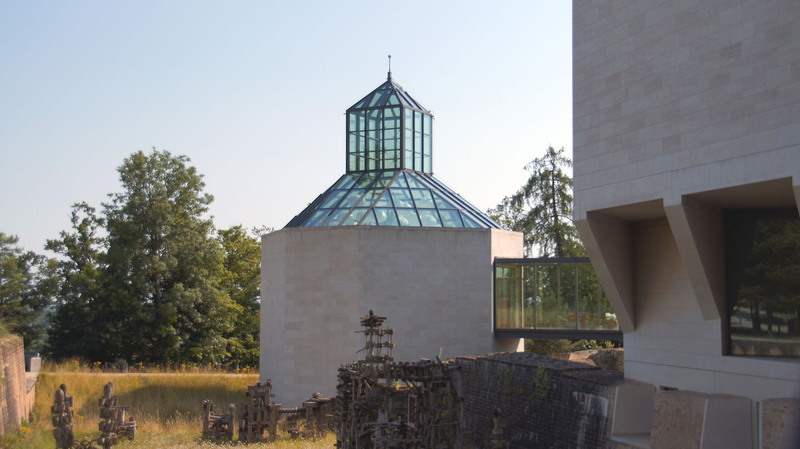 For the MUDAM Museum in Luxembourg, Toer designed an autonomous sunshade. Under the glass ceiling of the Henry J. and Erna D. Leir Pavilion, above a wooden deck by Konstantin Grcic, hangs an artificial cloud. At the top a solar panel collects energy. The energy is used to inflate a series of balloons. In about two minutes the space is filled with a cloud. It provides a shade for the people in the pavilion. The autonomous character of the project gives the installation a feeling of a living organism responding to its surrounding. This project brings liveliness to the space and at the same time protects you from the sun. 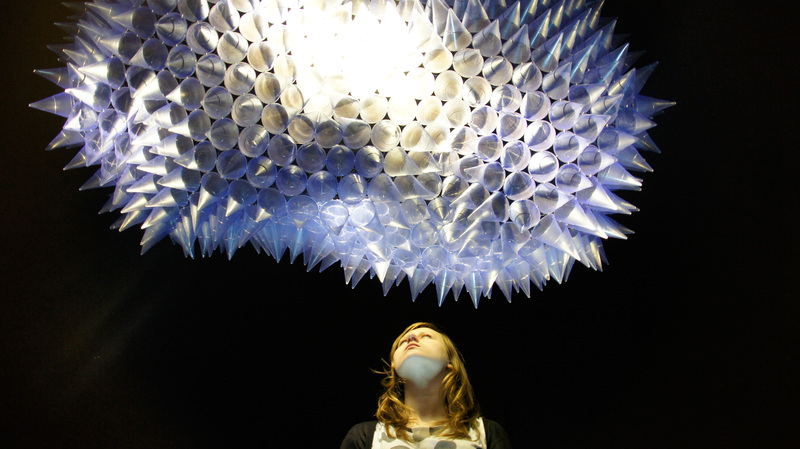 Toer’s passion is to explore the boundaries of product and spatial design. The designs are a result of their fascination for simple movements and the emotional impact this can have. This in combination with subtle material use and a straightforward form language identifies the work of Toer. When passing by, the trees start to make there own personal sound. If you get closer or stroke the trees you will be able to influence the sound created by the trees. The vibrations are sensible through the whole tree. 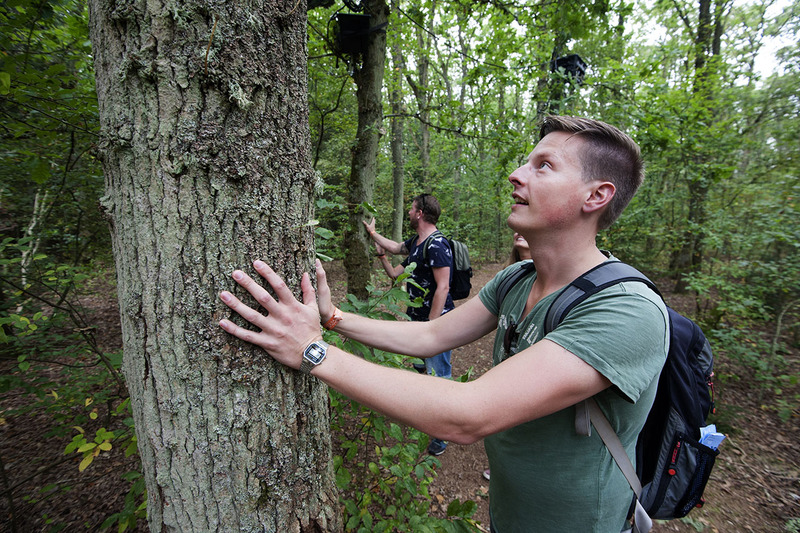 It invites visitors to hug the trees and experience an extraordinary way of physical contact with nature. All the trees together create a soundscape that floats through the forest. With this project Toer wanted to strengthen the already existing scenery of the festival. A beautiful island in the north of the Netherlands (Vlieland). y this little intervention the visitor of the festival is challenged to look more closely to the nature surrounding them.